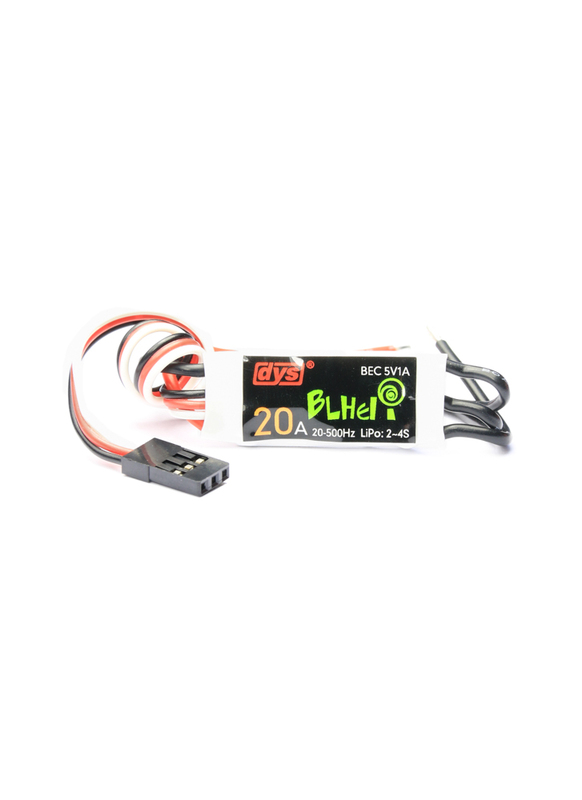 DYS's BLHeli series ESCs have gained a repuation within the drone racing community as being among the best value ESCs out there. 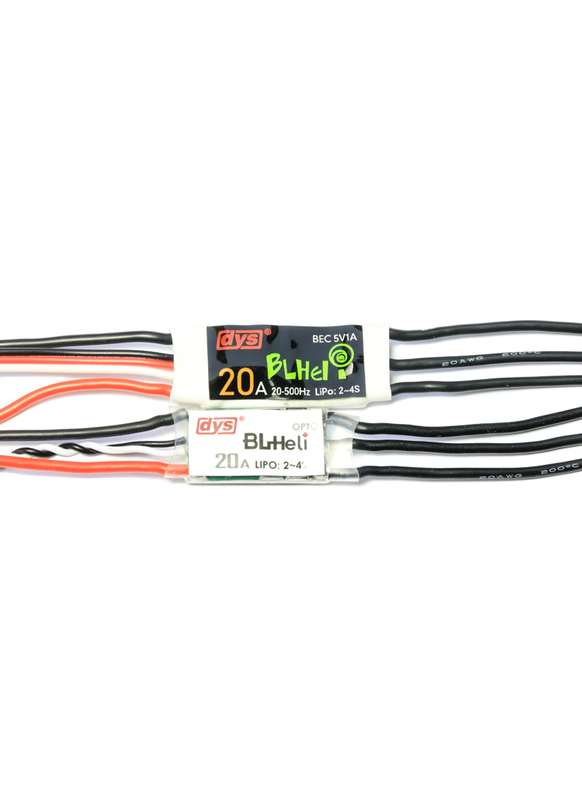 Up until now all of the BLHeli series ESCs have been OPTO. Now this new BLB20A ESC includes a 5volt BEC which is pretty handy as it means you don't need an aditional BEC to power your flight controller. Like the rest of the BLHeli series, it's still tiny (not much bigger than its brother the BL20A OPTO), very light and it arrives flashed with the best multirotor firmware out there - BLHeli. For those than don’t know, BLHeli is a next generation firmware which looks set to take over from the dominance of SimonK firmware. BLHeli offers great new features like OneShot125* and Damping Light. OneShot125, simply put is a feature that lets your flight controller communicate with your ESCs much faster; the result being your multirotor can respond much quicker to commands. On the other hand Damping Light is a sort of active breaking. With normal ESCs when you reduce the throttle, the motor will only be slowed down passively by the drag of the props. With Damping Light enabled, the ESC will act like an electronic brake to actively reduce the motor speed. Again, this feature makes for a much more responsive and stable multirotor. While OneShot125 and Damping Light are the killer features of BLHeli, there are other benfits. For example, you can configure the ESCs to sound a beacon if they sit idle for 10minutes, which might just help you find your racing quad if you crash it in a field of long grass. The ESCs can be flashed with the latest version of BLHeli or Simonk using the DYS USB Linker. *Your flight controller must support OneShot to take advantage of this feature. For more information about BLHeli, please refer to the BLHeliSuite website.